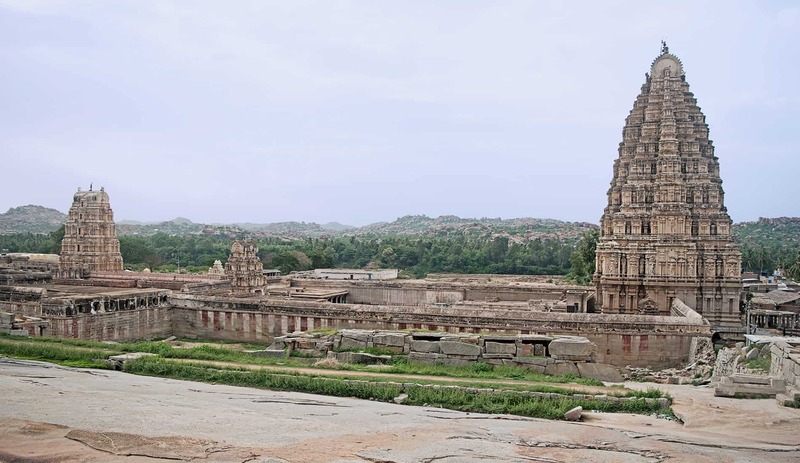 This trail begins with a leisurely walk up the Hemakuta hill, which opens up a treasure trove of pre-Vijayanagara temples, statues and the wondrous stories surrounding them. 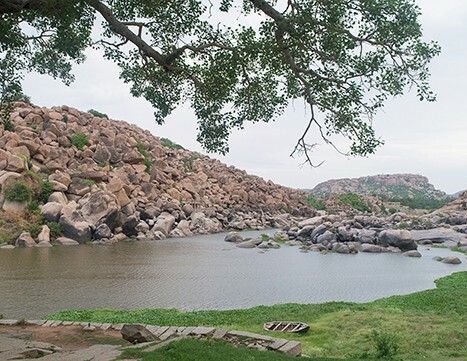 It will also serve you delightful views of the rock strewn landscape of Hampi with its glorious sunsets. Stroll down to the centuries old Virupaksha Temple at the base of the hill. 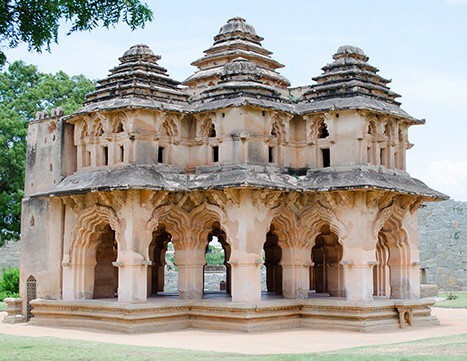 the holy temple of the early Kings of the Vijayanagara Empire in the 14th century. 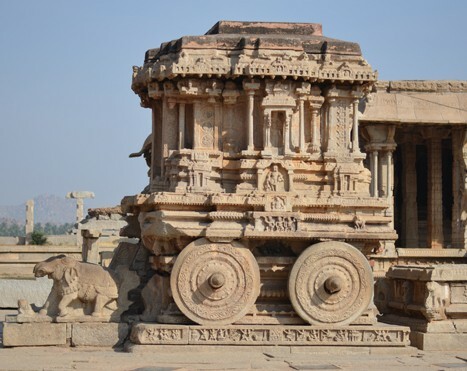 The end of the trail is marked by the exquisite Krishna temple and the huge monolith of Narasimha.